San Francisco Beer Week Starts NOW! “Ready or not, San Francisco Beer Week is here. This 9 day festival of local craft beers starts on Friday and goes through February 17th. 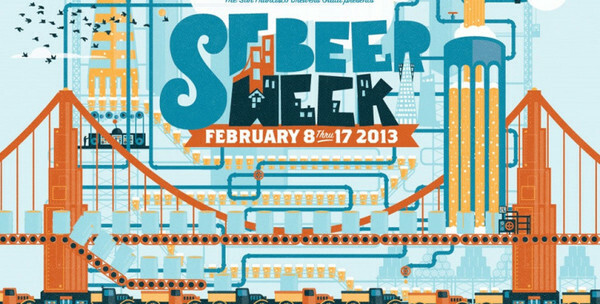 SF Beer Week, put on by the San Francisco Brewers Guild, is a special event. Some travel all the way from Sweden and Japan just to experience this celebration of craft beer. Locals spend the week trying rare local brews and other beers from across the country. Everyone lusts after Pliny the Younger.